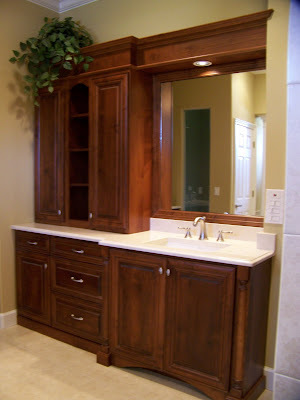 In a bathroom it is important to create a space that is visually appealing and at the same time provide adequate storage. 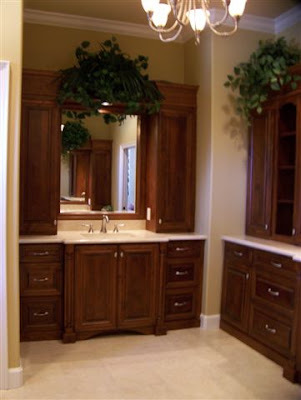 This master bathroom was designed with two separate sink areas to give each individual their own area and storage space. The deep drawers are perfect for bathroom products and work great for blow dryers, curling irons and more. With the cabinets sitting on the counter near the sink provide a perfect location for linen storage.